Quick, easy, versatile, and effective. In our busy lives, that’s what we look for in a product. 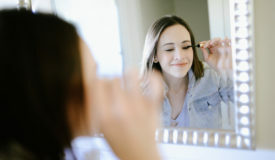 We don’t have time to be chasing for a golden fountain of health and youth, but we do have time to make a few swaps or additions in our daily life that can add up to a whole host of health benefits. With the health and wellness industry becoming a bit overwhelming, here are 6 products (some edible, some not) that make living a healthy life a little easier. 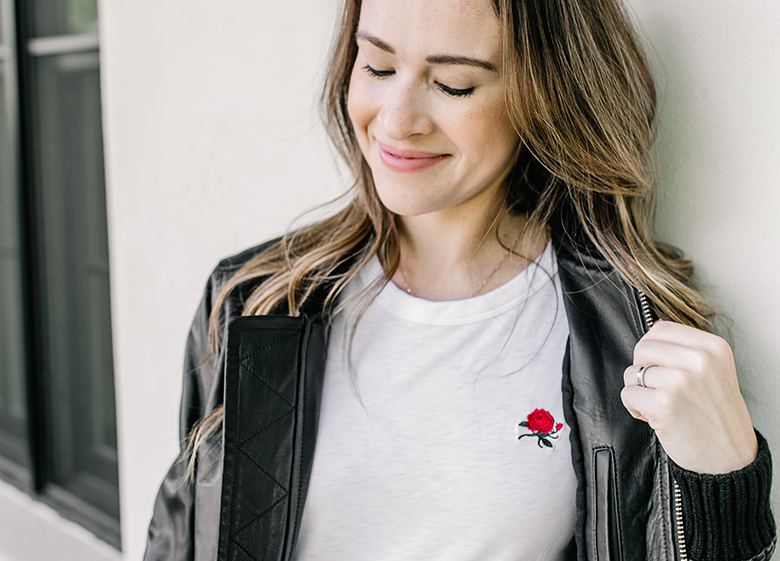 I feel like nowadays you need to clarify but absolutely none of these companies have paid me to talk about their products, these are just my current favorite health & wellness products at the moment that are making the life of this busy mom a little easier. 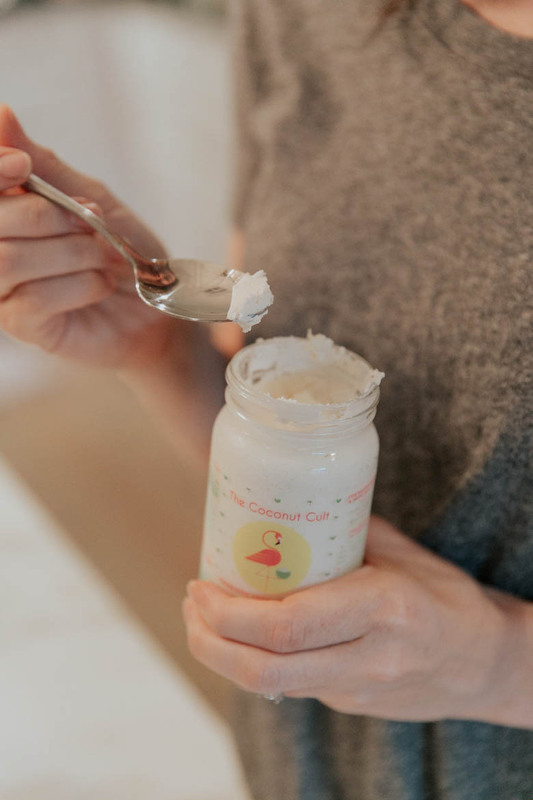 25 billion probiotics from 15 different probiotic strains in just 2 tablespoons of The Coconut Cult’s probiotic coconut yogurt. 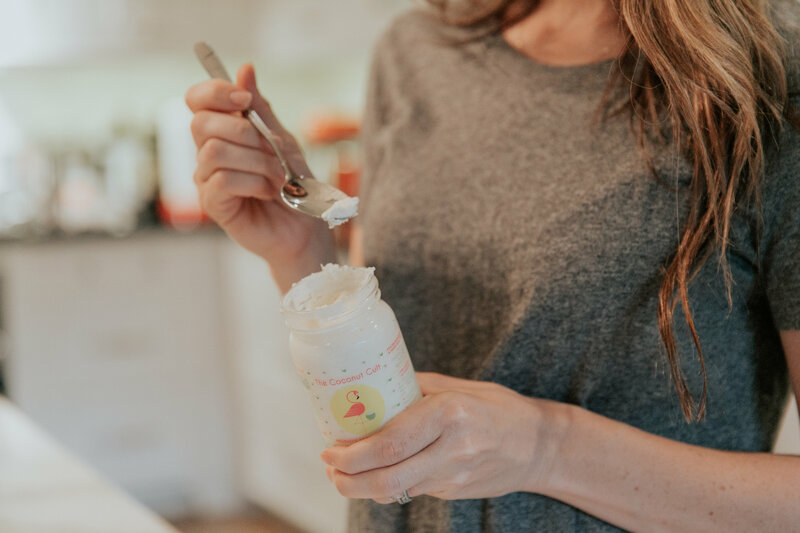 This $25 yogurt has health and wellness lovers going crazy, but with such a high number of probiotics in one jar, it can replace your daily probiotic supplement in two spoonfuls of this creamy coconut treat. But good luck trying to have just two spoonfuls, this stuff is addicting! So if you want to add some healthy bacteria to your gut without adding another pill/supplement to your morning routine, give it a try. I like the coconut cream flavor, Diego and Dustin love it too! What is matcha? High-grade green tea leaves finely ground into a powder where the entire leaf is ingested, in comparison to green tea where the just the brewed water is drank. Matcha is rich in antioxidants called polyphenols which research has shown to boost metabolism and slow or stop the growth of cancer cells. 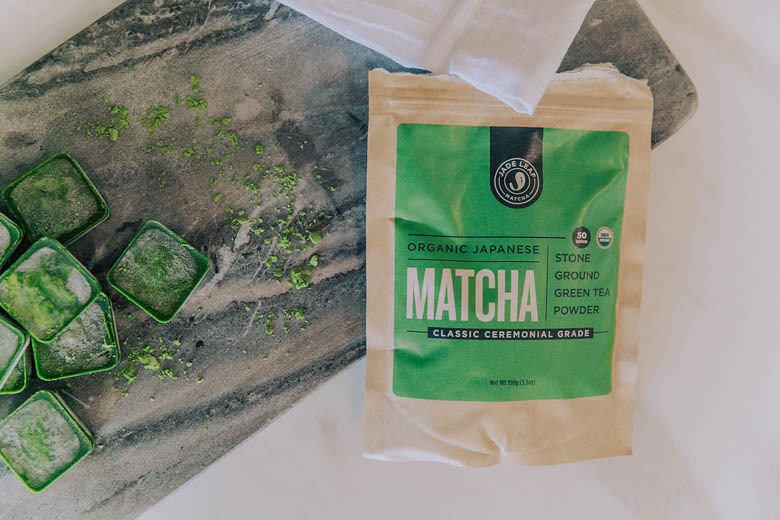 Matcha has caffeine but is paired with L-theanine, an amino acid, that has a “relaxation without sedation” feel that gives a steady jitter-free energy. The powder is most known for matcha lattes (my recipe here), but is incredibly versatile. Below I made it into Matcha Freezer Fudge with a little coconut butter. Matcha is an easy and healthy way to get some energy in the morning. Sometimes I will trade my morning smoothie for an early cup of matcha with a spoon of coconut butter and vanilla collagen powder from Primal Kitchen, that keeps me energized and satisfied for a long time. 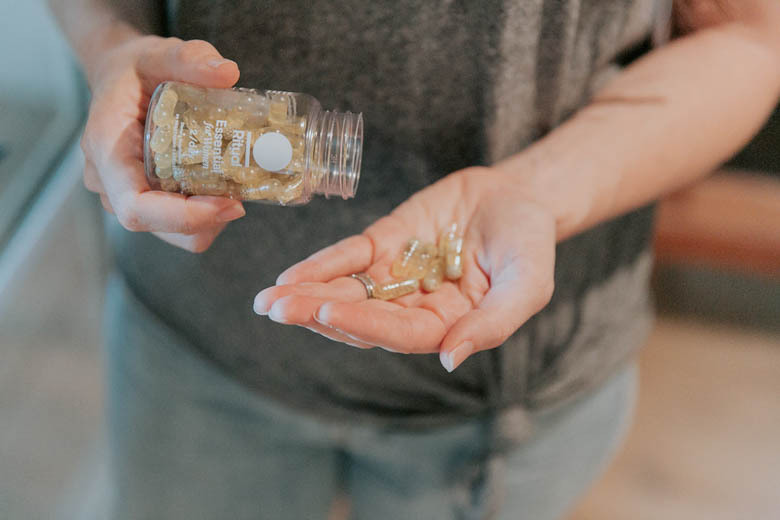 I would NEVER recommend a supplement (or any product) that I didn’t truly believe in and Ritual multivitamins for women are something really awesome. One pill includes 9 essential nutrients you probably don’t already get from your food and in bioavailable forms. 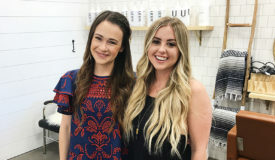 The best part about Ritual just how transparent they are about their research, ingredients, and most importantly the source of their ingredients. It is a completely vegan multivitamin that one can order on a subscription base for $30 a month. I LOVE that they included the omega 3s in the same pill. Instead of chasing around every nutrient you’re supposed to eat, toss a scoop of Majka powder into your morning smoothie and you’ll get protein, fiber, every vitamin you could think of, prebiotics, probiotics, digestive enzymes, and a fruit and greens blend. TRULY made for someone who wants to maintain a healthy lifestyle but not spend more than 10 minutes in the kitchen, plus there are yummy little bites that are my swap for that cookie craving. 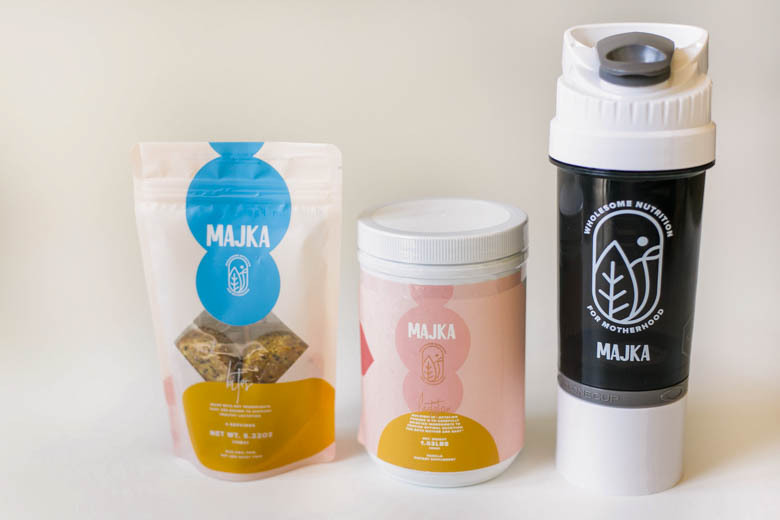 Any new moms out there, Majka is especially meant to make your life easier. Starting with getting the right nutrients to take care of your body, to better take care of your family with their special lactation blend. But this blend is beneficial for all! Ahh the many uses of a coconut! 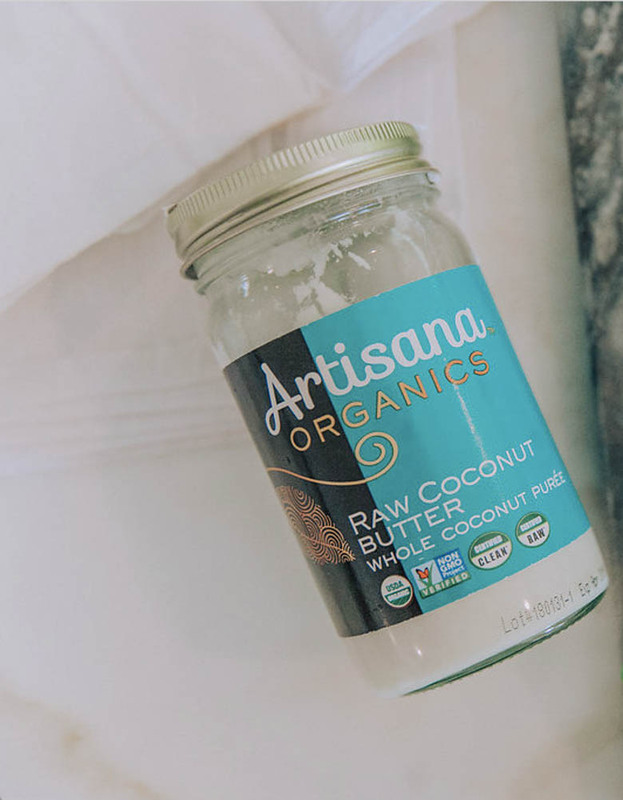 First not to be confused, coconut butter is pureed coconut meat and coconut oil is pure fat simply from the oil of the coconut even. The best description I’ve heard is peanut butter vs. peanut oil. So WHY eat coconut butter? Unlike the oil, it has nutrients like fiber, protein, magnesium, iron, and potassium. But it does have some of the (healthy) MCT fats just don’t overdo it because a tablespoon can be around 100 calories. HOW to eat it? 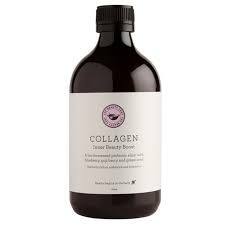 Spread it on a slice of toast with honey, drizzle some on berries, or add it to a smoothie to make it extra creamy and keep you full. This is such a guilt-free snack that really is FULL of good probiotics. This Korean staple is a combination of fermented cabbage and radishes with a spicy garlic-y seasoning. 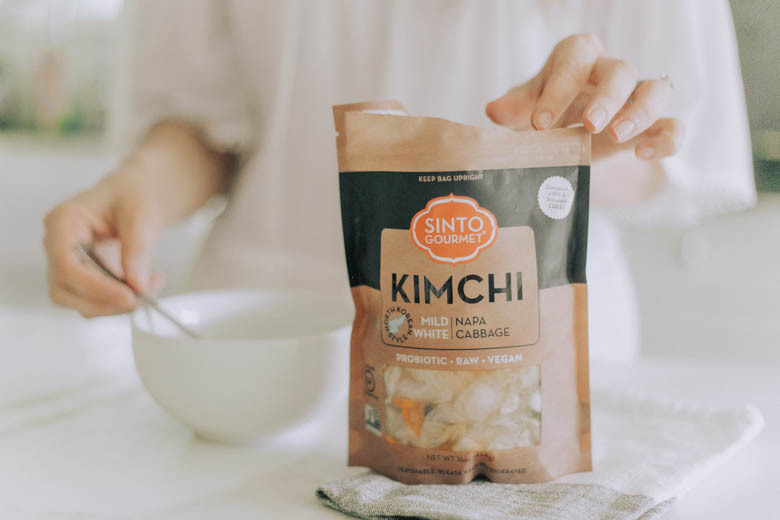 Not only does the fermentation offer gut-friendly bacteria (better digestion and overall health), but it’s also rich in fiber, Vitamin A, antioxidants, boosts immune system, Vitamin C (anti-aging), reduces the risk of cancer, AND uniquely enough has be clinically shown to reduce inflammation of the skin especially eczema. I have been trying to eat a little more fermented foods, this one its just easy to find and include on your meals. If you don’t know how almond milk is made, it’s simply almonds and water (see tutorial here). That’s it! But take a look at your almond at home or at the grocery store and notice there are a whole lot more of ingredients, some we can’t pronounce. 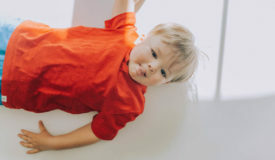 One of the worst common ingredients is carrageenan which additive that comes from seaweed used by the food industry for the thickening or gelling of a product. 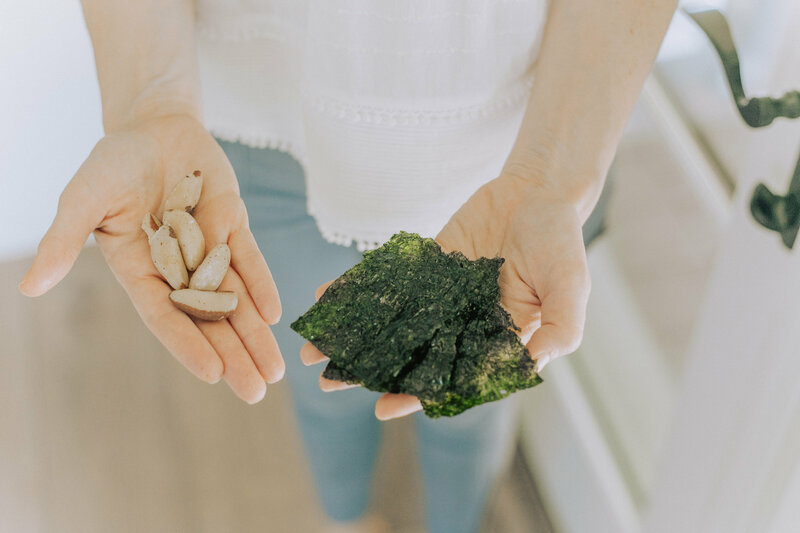 There is a research that says it destructive in your gut, causes inflammation and could even cause cancer, you can read more on this article here. While I love to make my own almond milk at home, today we’re all about the quick and easy. 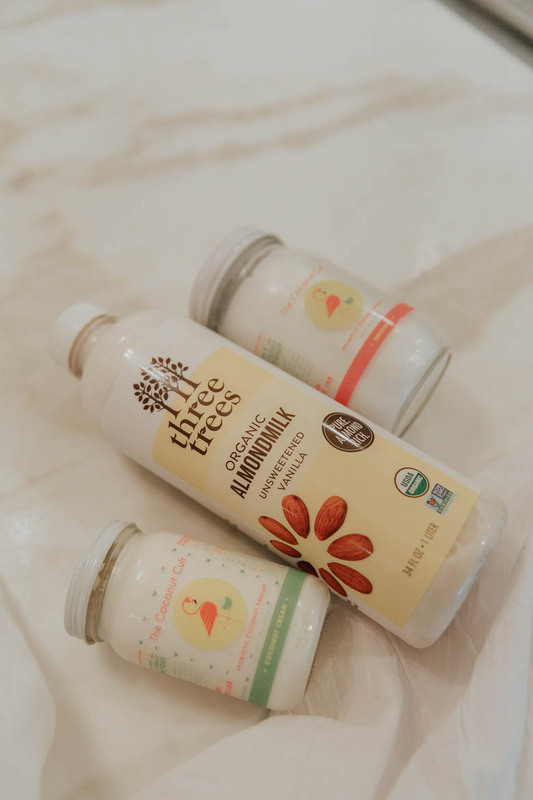 The brand with the cleanest ingredients I’ve seen in a store-bought almond milk is this Three Trees Almond Milk. Their ingredients include: reverse osmosis filter water and organic almonds. So whether you find this brand or another, an easy switch to an almond milk whose ingredients are just water and almond could be a huge win for your body! What are some of your favorite health and wellness products? Let me know in the comments below!